Ladies, we might have a healthy, onscreen lesbian TV show on our hands. I can speak for the room when I say that we lesbians are used to disappointing TV representation. The golden age of women loving women on the small screen is yet to arrive. But the news that the CW is developing a Batwoman series, written by a lesbian, seeking a lesbian star, to play a lesbian antihero — well, that’s promising. Some of the best lesbian characters in the past come from sci-fi and superhero shows. The CW’s Supergirl has Alex Danvers and Maggie Sawyer. Buffy the Vampire Slayer brought us Willow and Tara. And Doctor Who had its first openly lesbian companion last season with Bill Potts. Sci-fi has always been willing to push the boundaries of sexuality while carving out progress in space and time. So perhaps it’s fitting that a caped crusader is going to live her truth as a lesbian and a heroine. Caroline Dries, a former executive producer of The Vampires Diaries, will helm the untitled Batwoman project as its primary writer. Greg Berlanti, who directed gay teen movie Love, Simon and produced CW smash hit Riverdale, along with “Arrowverse” series The Flash, Supergirl, Black Lightning, and Legends of Tomorrow, is on board. Kate Kane, the comic book character behind the Batwoman outfit, was revamped in 2006 as a lesbian of Jewish descent, and all signs point toward the CW maintaining that diversity. Alex and Maggie are two characters in a lesbian relationship in the Arrow-verse. It’s about time that a lesbian character takes the lead spot on a TV show about something other than her lesbianism. Representation of lesbian TV characters has never not been problematic. When Ellen DeGeneres took the first plunge into coming out in 1997, both in real life and onscreen, her sitcom got cancelled. At the turn of the century, 2001’s timid attempts to get women to kiss each other on air in shows like Buffy and Friends were more than the last ten years of television had accomplished up to that point. Despite tentative forays into lesbian relationships, most of the time, lesbianism played the part of a punchline. And when lesbians were included in episodes, their stories tended to begin and end with the novelty of their sexuality. Up until the The L Word, a TV show had never successfully introduced lead lesbian characters. And with a reboot in the works, it’s still trying to normalize women loving other women. "The L Word' was the first TV show to portray lesbian life with a diverse cast of characters played by real, lesbian women. The L Word, while fraught with offensive caricatures and problematic plots, was the first show of its kind. It’s eventual devolvement into an unsatisfying murder mystery was disappointing, but during its run it showcased a somewhat-realistic portrayal of everyday life in the lesbian community. The Fosters also had two lesbian leads, and shows like Orange Is The New Black and The 100 have bisexual and lesbian main characters. But those shows still contributed to another issue that plagues onscreen lesbian representation: the “Kill Your Gays” trope. Out of approximately 400 female bisexual and lesbian characters on TV, nearly 200 were killed onscreen. That’s an alarming figure, especially considering that show runners have historically used lesbian kissing scenes and lesbian death scenes interchangeably to boost ratings instead of portraying healthy, normal lesbian relationships. The chances of Kate Kane’s sexuality being used as a ratings tool, or her being killed at the moment a romantic relationship is realized — a tool the CW in particular has leaned on with shows like Supernatural and, more notably, The 100 — are slim to none. As the main character, she can’t just die or go away, and the nature of a superhero series means her relationships with women, while important, won’t be the thesis of the show. Kate Kane, the character behind Batwoman, is attacked by a vampire in the bedroom. 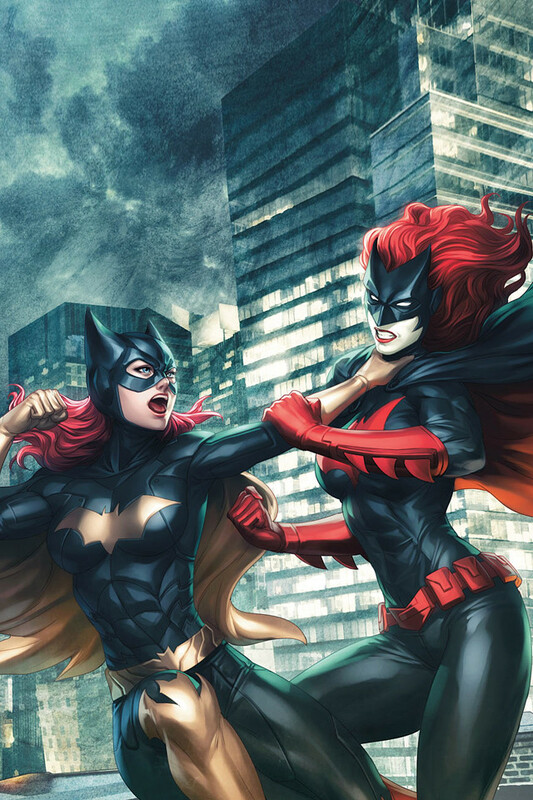 Batwoman will be a lesbian who does more than just flaunt her sexuality and all the drama that comes along with it. She’ll fight crime as a “highly trained street fighter” and traverse the gritty streets of Gotham. She’ll battle literal demons and criminals, not to mention the ones inside of her. Kate Kane can be the next Oliver Queen, or Kara Zor-El, or Grant Gustin. They’re not defined by their sexualities. Now, for the first time, a lesbian star won’t be, either.